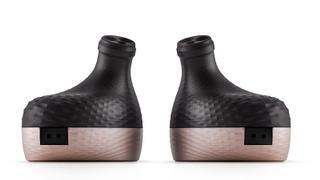 While there are few truly bespoke experiences when it comes to technology, more of which in just a second, there are many opportunities to custom design or adapt tech to make it unique to your onboard needs. 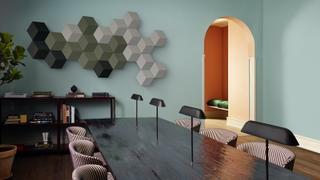 Take the new BeoSound Shape sound system from Bang & Olufsen (pictured above). This new wireless multiroom system is ideal for fans of Sonos who would prefer something a little more exclusive. The wall-mounted design is clever because it is made up from a series of interconnecting hexagonal tiles. Each tile, though looking identical and covered in luxurious Kvadrat cloth, is a different audio component, either an amplifier, smart hub, speaker or acoustic dampers. Now, not only does this sound system not look like technology but it can actually be a piece of wall art – due to that modular nature you can craft your BeoSound Shape system from an almost infinite combination of nodes to create something only you possess. The starter package comes as a set of eight tiles – four speakers, one amplifier, one core and two dampers – but it can be expanded to include a max of 11 amplifiers and 44 speaker tiles – which would be mightily impressive. If you want to go fully bespoke, you could treat yourself to a pair of Katana earphones from audiophile brand Noble. Each of these custom-fit, handmade earbuds contains a unique nine-driver-per-side configuration covering the complete frequency range. Make sure you take the custom-fitted option, where your Katanas are shaped precisely to your ears, resulting in the most secure of fits, and you’ll get the chance to customise your design as well as the kind of bass and clear highs that only come with superior sound isolation.